It’s that time of the year when fresh produce is ready in the garden. 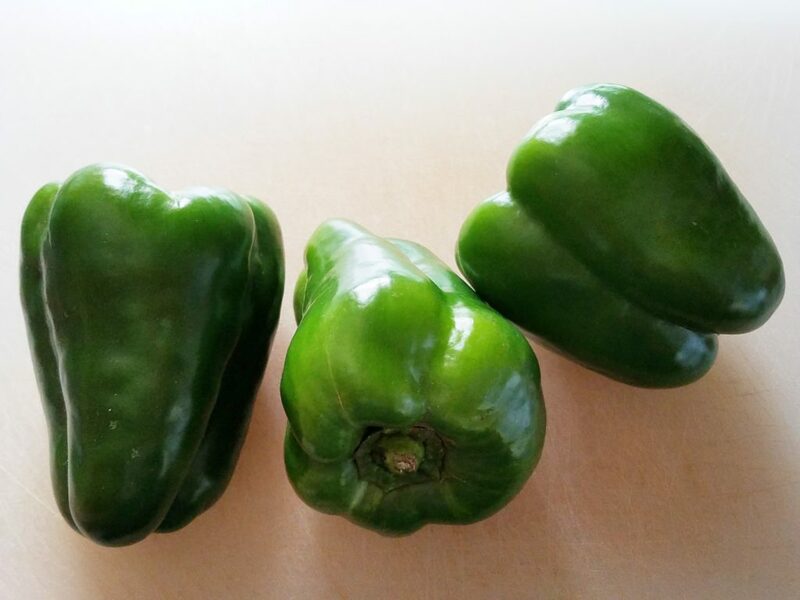 Pepper plants can produce quite a few peppers. So what to make with them is the question, right? 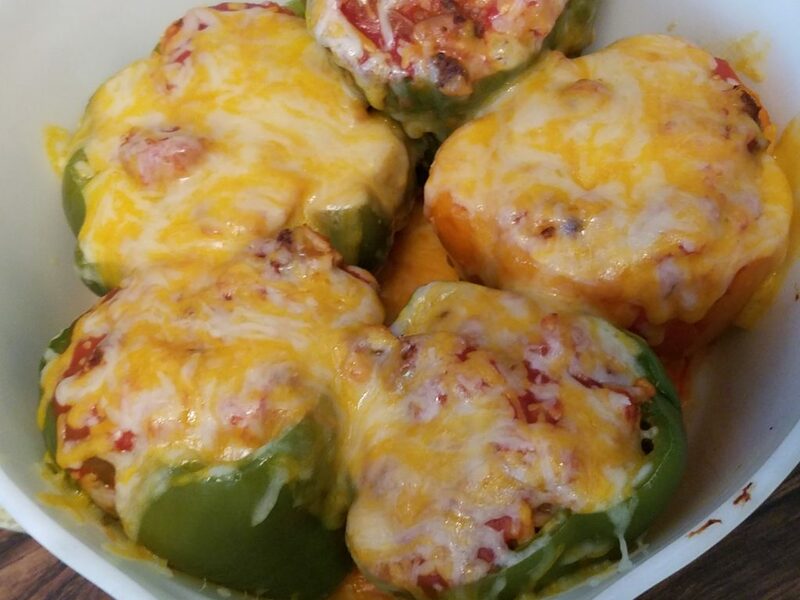 There are many different things you can make with them but stuffed peppers are quite a delight. Especially since I haven’t made them in ages and my brother gave me some from his garden. So I looked up recipes online to which there are many different variations. I chose the easy classic stuffed pepper recipe. I was so excited to make this that I couldn’t wait to share how they turned out. I did make some adjustments to the recipe I found within the ingredients in this recipe. This recipe is so basic that it is versatile in what kind of meat you would like to use or maybe not use any. You could just make it very veggie with no meat. It’s a great summer recipe for using the many peppers you get from your garden. Luckily I have family who share their veggies with me. Cut a circle around the top of the pepper and remove it (making a lid). Cut out seeds and membranes. Cook peppers in boiling water for 5 - 7 minutes. Sit then upside down on a paper towel so the water drains off good. Brown the ground beef until cooked through. Add in onion and diced up pepper lids and cook until softened. Drain if needed and return to the skillet. Mix in ½ cup of cheese. Add the rice, salt, garlic salt and 1 15oz can of tomato sauce to the beef. Cook until all is hot. Stand peppers in an upright so opening is face up in a small 8 x 8 baking dish or larger depending on size of your peppers. Pour the remaining sauce over the tops of the peppers. Having the right baking dish and ingredients is important. 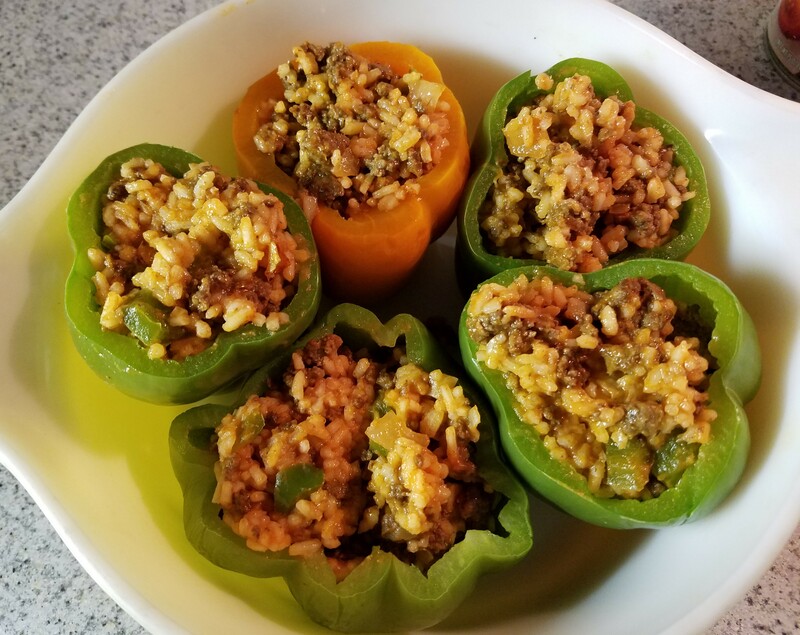 Here are few that I’ve picked out to get you started with helping to make this yummy stuffed peppers entrée for your meal to enjoy. Those look delicious. I just may make some if I can find some fresh, firm peppers. I love stuffed pepper! I really ought to make them more often. I don’t usually see cheese in a lot of the recipes. I think it’s a nice addition.